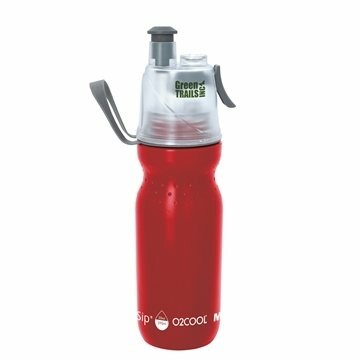 O2COOL ArcticSqueeze(TM) Classic - 20 oz. The perfect drinking bottle for your bike, sporting or outdoor activity. This product is flexible, easy to squeeze and provides you with a high flow rate of water and a fine mist to cool you down. Overall Reviews: WRITE A REVIEW (9)5.005O2COOL ArcticSqueeze(TM) Classic - 20 oz. this is it! We love it, it looks great. Excellent value and high quality. We like the ultimate product! The finished product with our company info on it really is nice. Our Logo looks Fantastic! Thank you. There is nothing wrong with this order. Our logo looked great on the product. Better than I expected. We passed these out at our chili cook-off and they were enjoyed by everyone! Everybody that received this item was happy.